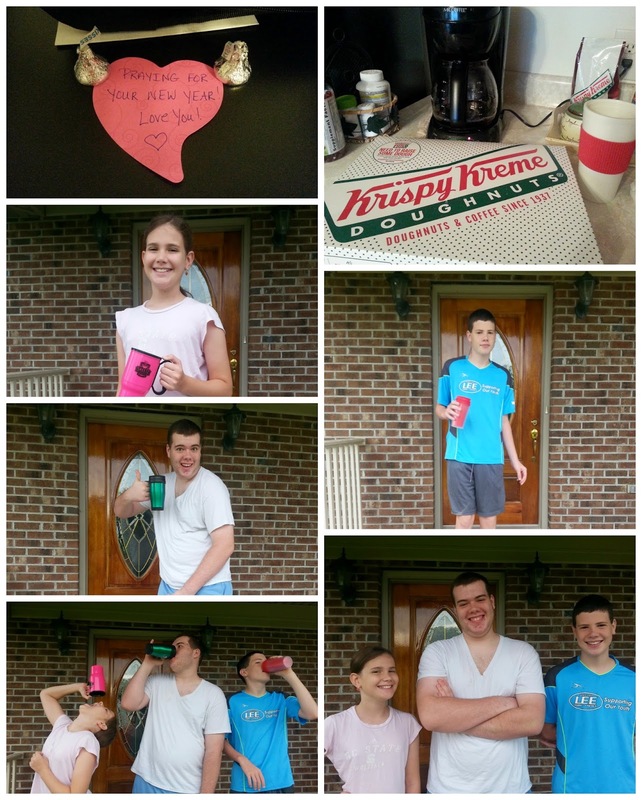 We continued with our fun tradition of coffee, pajamas, and fun notes for our first day of school. This time we added in some yummy doughnuts to top off the fun! You're never too old for fun! Here's to 11th, 8th, and 6th grade!! I would say it was a very smooth first day! Hoping to get a post up soon with curriculum choices. I'm a little backwards this year in posting. We are starting back a early to allow for a fun vacation in September.